This Woodhead GR900 Ground Fault Cable Retractor guides tool to it's original installed position providing a clean and organized work area and prevents tool from harmful falls. Easy-to-use tension adjustment control and no special tools neededminimizes operator fatigue while reducing repetitive motion injuries. 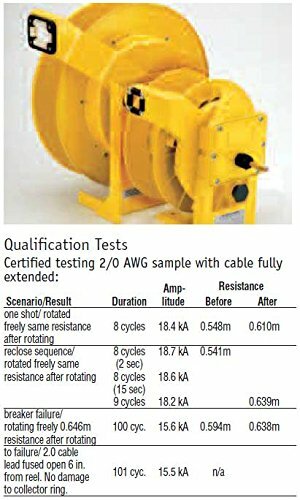 It's integrated multi-directional cable guides extend cable life cycle and safety. These retractors are equipped with industrial-type upper shackles for quick, easy and safe installation in work areas. Molex offers a complete line of reliable Woodhead electrical solutions designed to support optimal worker safety and performance for today's harsh duty environments. Our industry-leading solutions range from portable lighting to power distribution supporting the needs of industries such as commercial construction, utility, petrochemical, and food and beverage.